Today's Writing Wednesday isn't technically a craft post, but it is something I think every writer struggles with at some point in their career. Before we dive into the heavy stuff, though, I'd like to show you this interview I did with Mihir of Fantasy Book Critic! Mihir is one of my favorite people to do interviews with because he always asks the BEST questions, and this time was no different. He got some super big Heartstriker secrets out of me! So if you're a fan of Nice Dragons, you'll definitely want to check it out. Writer Circle of Woe from the amazing Ilona Andrews!! She is awesomesauce! Read everything she writes! Ever since I published my fast writing book 2k to 10k back in 2012, I've gotten a steady stream of mail through my contact page from authors asking for help with their books. I really love getting these kind of emails. First, it just feels good to help my fellow writers (author power! ), and second, it gives me a great insight into the kind of problems writers who aren't me are struggling with. Over three years and thousands of emails, though, certain patterns have begin to emerge. Every writer approaches writing differently, but get enough of us together and you start to see certain commonalities. The same questions show up in my inbox over and over, showing that, for writers who email me at least, certain elements of fiction appear to be inherently more troublesome than others. Answering these common questions was a big part of why I started doing this Writing Wednesday feature. I figured that for every writer who was emailing me to ask this stuff, there were thousands more out there struggling with the same problems alone, and that makes me sad. Writing is a solitary art, but that doesn't mean we all have reinvent the wheel independently. If I've solved a problem which I later find out is something many writers struggle with, then I'm going to share my solution. Not because I think everyone should do things my way--again, everyone writes differently, and what works great for me might make no sense at all to you--but because I already did the work. The solution is already there, and if my knowledge can save someone else even a fraction of the blood, sweat, and tears that comes from an unhappy stint in the wordmines, then it's my duty as a writer and a member of the writing community to share what I know. Even if it wasn't, even if I felt no obligation at all, I'd still share anything I discovered, because I think writing a book is one of the best experiences a human can have. I want everyone to feel the joy of being a god in their own story, and I'd prefer if they could do so without getting dragged down by problems I've already gone through the trouble of working through. Share the knowledge, share the love! But as glorious and joyful as I know writing can be, it isn't always so nice. Answering craft questions is easy and fun, but the number one email I get in my box isn't about plot or characters or story structure. It's a simple cry for help from authors at the end of their rope. "I hate my book. What do I do?" This question gets me more than any other, because I've been there. I love writing more than anything else I've ever done, but there are days when I've woken up with pure dread at the thought of having to face my manuscript again. I've thrown works in progress away in disgust simply because I couldn't stand looking at them anymore. I have hated my books plenty of times, and it is a terrifying, terrible, helpless feeling. This beautiful story that I loved so much at the beginning has somehow turned into a monster, and I have no idea how to make it good again. When this happens, it can be very tempting to give up. You're miserable, your book is miserable, and any work you put into it just feels wasted effort since, clearly, this story is never going to be good again. But if you're feeling this way, do not despair. Flip-flopping between loving and hating your books seems to be an unavoidable part of the writing experience. But if you find yourself permanently stuck in the “hate it” part of the cycle, all is not lost, because no one starts hating their book for no reason. You loved this thing enough at one point to start writing it, which means something had to have happened to make you stop loving it now. Therefore, if we can just figure out what that something is and fix it, we can get you back on the road to loving your book again. With that in mind, the first step towards stopping book hate is to hunt down and kill whatever problem is causing the issue. But while that's as straightforward a solution as you'll ever hear, actually pinning down what part of your book is rubbing you the wrong way can be very, very difficult. Obvious problems don't cause book hate because you can clearly see what's going wrong and place all your blame there. The real trouble comes you're dealing with subtle, pernicious, systematic issues like flagging tension or a character who’s being pushed by the plot to act out of character and thus is fighting his all scenes. Taken individually in any single scene, it's easy to dismiss these kind of seemingly minor problems as fodder for the edit. But these little, persistent flaws can actually act like a millstone around your book’s neck, subtly dragging down multiple sections. You know something is wrong, but you can't put your finger on it, and so, with no other target, all that frustration latches on to the project as a whole, giving rise to the overarching “I hate this book” feeling. So how do we hunt these little bastards down? To start pinning down the problem, we need to figure out where it began. To get that, simply go back to the last place where you were happy with your writing and re-read the scene. Then, move forward into the parts where you started getting less happy while keeping your eyes open for what changed. Ask yourself “is there good tension in these scenes? Are they exciting?” If the answer is no, try upping the stakes in your mind and see if that makes you happier about the book. Alternatively, if the tension is fine but you still don’t like what you're reading, then it’s time to ask yourself if this is the direction you actually want to take your story. Just because something made sense in the plotting stage doesn’t mean it’s a scene you’re actually interested in or want to write. So if your tension feels good but you’re still unhappy, the next step is to try changing the situation entirely. Think of it as playing “What if?” Use your imagination and come up with a new direction for the plot to go. Remember: this is just a thought experiment. You don’t have to figure out how any of this will actually work yet! You’re just experimenting with taking the characters out of the plot you know isn’t working and sending them down a new path to see if this fixes the problem. Hopefully, just playing around like this will get you really excited about your book again, spurring your creativity to come up with the actual changes your plot needs to kick things back into gear. But if playing with the tension and changing the plot still isn’t resolving your hatred for this book, then it’s time to to go even bigger and take a look at your characters. Other than botched tension, forcing characters to do things they don’t want to (or wouldn't) do is the fastest way to hit a wall in your writing. Sometimes, though, the only way to figure out if this is what's going on is to put your characters to the test. So, just like we just did with the tension, go back again to the place where you started hating your writing. This time, though, instead of looking at the scene itself, we’re going to be examining your characters. I can't speak for you, but for me, evaluating characters is much harder than mucking around with plot. I get super attached to my people, which leads to me being very resistant to change. That said, I'd rather redo a character than be defeated by a book. I always put it off till the end, but if nothing else is working, I have no choice but to put my characters under the magnifying glass. In practical terms, this means I look at the scenes where things started going wrong and ask myself the hard questions: Are my people all acting according to their motivations, or are they being forced to go along with the plot? Is this how these characters would really make decisions and interact in these situations, or am I writing what's convenient for me? If all else fails, I'll often sit down and have a chat with my character and simply ask them what’s wrong? Why are you not happy in this scene? I know the above sounds kind of crazy, but I’ve found that just talking to my characters one on one is a great way to quickly identify where things are going wrong. Sometimes, all of these tactics fall flat. No matter how I poke and prod, I just can't find the problem. When this happens, just like with tension, it’s time to ask yourself if these characters are really the right people for this story. This step is as painful as it is important. Again, I get really attached to characters! At the same time, though, I’ve had lots of books go belly up on me because I gave a character a motive/backstory/personality that made sense in the context of the story, but wasn’t actually a motive/backstory/personality I was interested in as a writer. Situations like this are the most subtle of the subtle book poisons. Technically, you're doing everything right. You just don’t like it, and in a creative work, that’s a big problem. As a writer, my books have to be an extension of myself and my interests. If I try to write about a subject or conflict I'm not actually deeply interested in, there's no trick in the world that's going to help me keep up my motivation and energy long enough to get through a whole novel. The same applies to characters. I can create a person who is perfect for the role I need them to play in a book, but if I don't love them for themselves despite that, then it doesn’t matter how well suited to the novel they are or how well I balanced their flaws and motivations. I’m going to be bored writing them, and that boredom will bleed out into every other part of the book, poisoning the whole project. If this is what is happening to you, then you have my deepest sympathies. It hurts to go back to the drawing board on a character, but it can also be very freeing. It's never easy, but sometimes drastically changing or even cutting a character who just isn’t working can feel like cutting a manacle off your leg. That's a powerful feeling when you're staring down the barrel of deciding whether or not to give up on a book, and it's one you should reach for at all costs. No matter how much you might hate it right now, abandoning a book should always be your very last resort. If you loved a story enough to start writing it in the first place, it has good ideas. Don't give up on those, and don't give up on your work. It's always better to make radical changes to save a project than to throw in the towel, because if you give up, then those characters and scenes are lost forever anyway, so you might as well do something crazy to try and save them. At this stage, there is zero point in being afraid to take risks, and never beat yourself up over letting it get this far. Sometimes plots and characters that look great in the planning stage just fall apart when you actually try to write them. Making mistakes is just part of writing, and you should never feel ashamed of it. There’s so much pressure when you’re writing to get things right, but a novel is a hugely complex project. It’s silly to expect yourself to get everything perfect the first try. 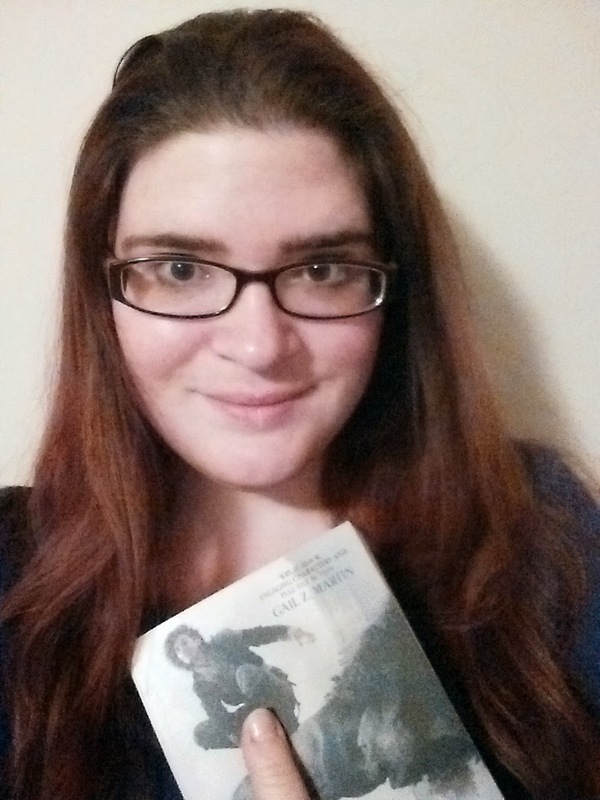 So if you find yourself hating your book, don’t give up, and don’t be down on yourself. Making a mistake or a bad judgment call isn’t the same as being a bad writer. Every writer messes up, that's why we work in drafts. The only important thing is that you work to fix the problem, so don’t be afraid to look critically at your plot and characters. It will be uncomfortable, but it’s the only way you’re ever going to hunt down where things went astray. Hopefully, by using the techniques above, you’ll be able to quickly identify the problem, come up with a solution, and fall head over heels in love with your book again. But even if things don’t go that smoothly, so long as you keep reminding yourself of what you do love in this book and how amazing it’s going to be when it’s done, there’s no dead end you can’t imagine your way out of. If you liked this post, please follow me on Twitter / Facebook / Tumblr / Google+ or subscribe to my blog directly to see new stuff as soon as it goes up! I post about craft every Wednesday and other writing business news through out the week as it happens. Thank you all so much for reading. If you have a story about learning to love your book, please post it in the comments below. I love hearing about how other authors deal with these problems!! Keep writing, and I'll see you soon with more shop talk! The amount that you love a project you're working on doesn't necessarily increase steadily until it's finished. Hopefully you'll love it the most at the end, but there may be stages along the way where it has to get messy before it can get better. It's rather like when you decide to reorganise a wardrobe - they will be a point, halfway through, where every surface is covered in clothes, you can't even leave the room without climbing over mess, and you wish you never started. But it's worth it if you persevere. I found this effect to apply to writing, painting, cooking, all sorts of things. Just be prepared for the intermediate stages of a grand transformation to be occasionally... ugly. I absolutely love your ideas, especially the one where you sit your character down and ask him why he's unhappy in the scene. Genius!!!! I just came out of book hate about three days ago with my current WIP and am now re-enthused about it and can see that yes, I can pull this into something I will be excited about and proud of. But the next time I fall into the quicksand of the mushy middle, I will definitely remember this post. Especially as a beginning writer, I hit this a lot. Well, less "I hate this" and more "This isn't working at all." Each time, I've kept that initial spark that made me love the story, and I've learned hard lessons about pacing and plotting (and in one memorable instance, about coordinating time and travel over great distances). I've never given up on the thing I loved about it first, and I have very high hopes that I've actually got it framed correctly this time. It's important to remember that the pace of reading is very much faster than the pace of writing (even if you're Rachel). So a scene that may seem turgid and lifeless when you labour over it for hours or days may come to life when it's read by new eyes at the intended speed. I think it happens to every writer, even if it doesn't happen with every book. Goodness knows it's happened to me. If you want a lovely graphic of the problem check out the link - seriously it cracked me up. 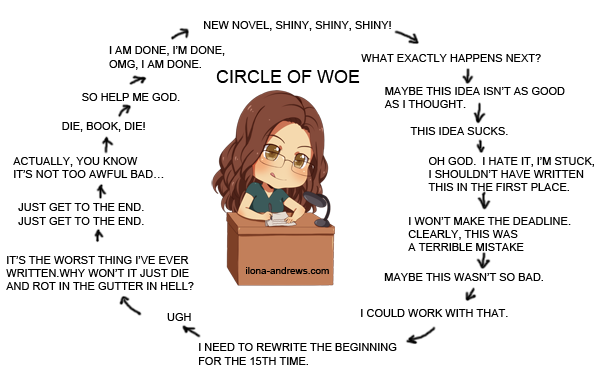 Ilona Andrews and her Circle of Woe, orignally posted on her blog. I'm currently in a phase where I can't figure out what the hell is wrong with my WIP. I mean, I'd never abandon it (although it has been a year already). 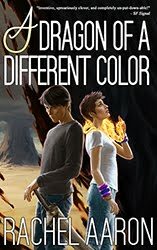 The story is the story I wanted to write even before I started my first book (this is my sixh, I believe), and there is no way I'll give up, even if it takes me three years. @Tom exactly. The "this is never going to work" stage always hits right before the "OMG this is amazing!" @louise OMG THAT IS AWESOME!! New favorite thing!! @Jimney I wish you the best of luck. I've been in a project exactly like that and...well, I'm still not done, but I will do it someday! There's one factor that I didn't see you mention here, but that I remember you talking about in 2k to 10k...being simply tired of a WIP. If you've been beating your head against the wall on story problems for months, or digging too deeply into the worldbuilding, isn't it easy for an author to simply get sick of their novel? Like eating too much cake, and then never wanting to lay eyes on sugar again? What do you do then? Perhaps this is an entirely different problem from literally hating your novel, but I'm curious. It is interesting, and refreshing, to see a problem like this treated as an actual sign that something is wrong with the work, instead of a sign that there is something wrong with you. Practical advice on fixing your story instead of a lot of mushy motivational advice. Thea - I sometimes think writing is like being a new parent. What do you do if the baby cries? You don't know why he's crying. So you just keep trying stuff until finally he stops crying. Same with a book. There is often no easy answer and often the solution is exhausting, but if you're a good 'parent' then you'll never just leave that baby to cry. And I DID tell you how much I love your perspective on all things writerly & publishy, right, Rachel? RIIGHT?? A thank you from one Rachel to another Rachel--I've been wondering how I could handle what has been such a persistent problem every time I've tried to write. I say "tried" because hate settles in so early that I often barely get STARTED, let alone finished (and I have NEVER finished a book). My problem all too often is that I have a great premise, but don't know how to turn it into a good story. I'll get bogged down at the research stage, when I realize I don't know enough about a subject to proceed, and know the research could take months, if not years. For example, I had an idea about a child raised in a white-supremacist cult who happens to be transgender, and desperate to express that side of himself (yet knowing he'd be beaten or even killed if he did). I thought about pairing him with an FBI agent who's infiltrating the group, but don't know enough about FBI procedure to make it realistic--and it would take too long to learn. Snags like this come up so often I no longer even *attempt* to write a story anymore. I hate my book! Great article...it saved me...and my book. Thanks. NDFL is today's Audible Daily Deal! !